If you love to cook and want to sharpen your skills or learn a new recipe—or if you just want to learn how to cook, taking a cooking class is an awesome place to get started. Fortunately, there are plenty of options for you to choose from on the Last Frontier. There are our favorite cooking classes in Alaska. The Cooking School at Tutka Bay offers one of the most unique settings for cooking classes that you’re likely to see. The school is located at Tutka Bay Lodge on the ruggedly-beautiful shoreline of Kachemak Bay across from Homer. The classes, themselves, take place on a repurposed, historic crabbing vessel. The cooking school offers both private classes to lodge guests and weekend classes that are open to the public. 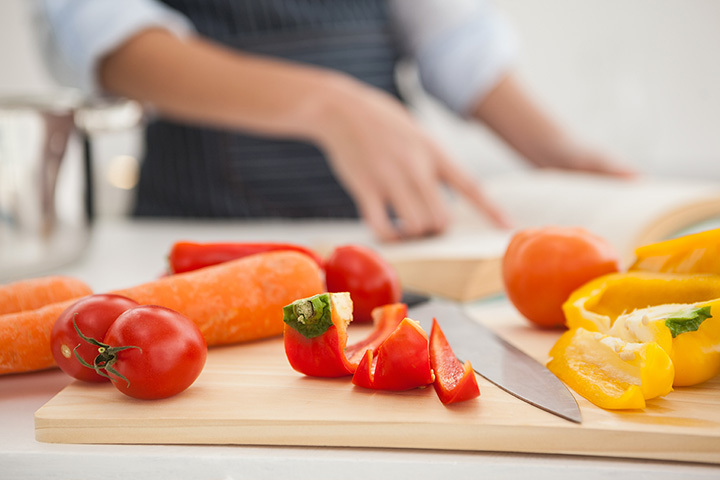 Allen and Petersen offers more than just appliances and repair at their Anchorage and Wasilla locations—they also offer regular cooking classes. The classes range from kids’ camps and basic knife skills to date nights—like Surf and Turf or Tuscan Dinner—and specialty courses, such as Instant Pot cooking. Have you ever considered just “getting away from it all” and learning to cook? Whether you have or haven’t, The Cooking School at Northwoods Lodge offers just such an opportunity. The lodge is fly-in only, so you will enjoy a tranquil, deep woods setting as you learn Alaska-centric cooking. Public classes are offered on weekends, while lodge guests can enjoy private classes during the week. The Anchorage Museum offers many open-to-the-public classes throughout the year. Among these are cooking classes, such as Valentine’s Day sweets and kids’ cooking classes. You can find the museum’s class listings in the online calendar on their website. Check back frequently to see what’s being offered. If you’re looking for a cooking class in Juneau, your best bet is Chez Alaska Cooking School. The school offers everything from informal demonstrations of recipes or knife skills to accredited culinary courses. They can even help you plan a party around a cooking demonstration. The Folk School, in Fairbanks, is dedicated to teaching folks of all ages the hands-on skills they need to engage in traditional crafts such as woodworking and, of course, cooking. The school offers regular cooking classes such as “Wok n Roll” (Chinese cooking), salmon smoking/gravlax making, doughnut making, vegan cooking—and many others. Check their online calendar often to see what’s coming up. For those looking for something more than just a casual cooking course, the Alaska Culinary Academy at AVTEC’s Seward campus will give you all the skills you need to launch a culinary career. The nationally-accredited program is recognized as among the best in the country—and their student-run café turns out some delicious dishes.